This lace work scarf was hand knitted by yours truly. Quite a bit of it was actually made while walking. 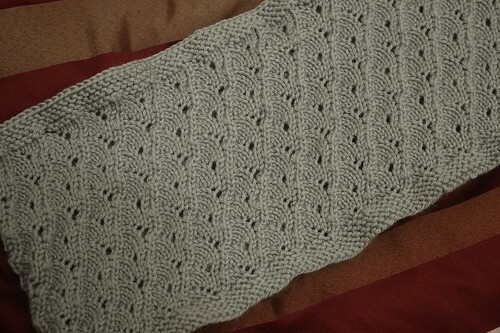 It was my first foray into lace knitting and definitely will not be my last. Still needs to be blocked before completion, but still i did smash it out pretty fast.